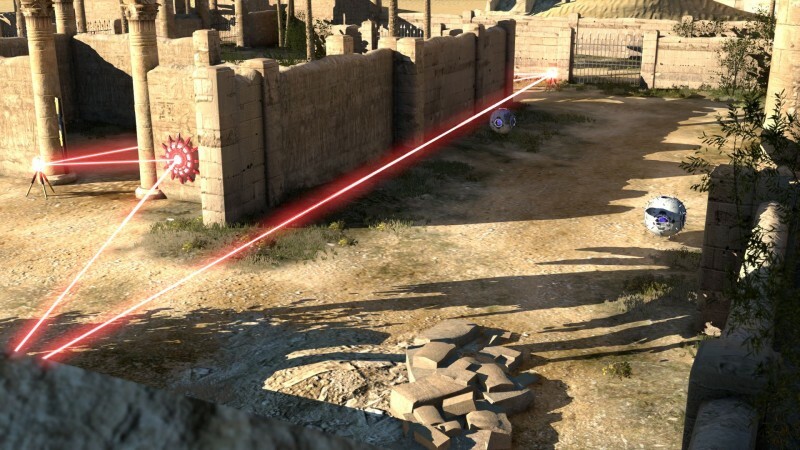 While you could argue that all narratives strive to deliver some kind of moral, social, or psychological message, most games are more concerned with empowering the player or delivering an awe-inspiring spectacle than they are communicating any meaningful message. 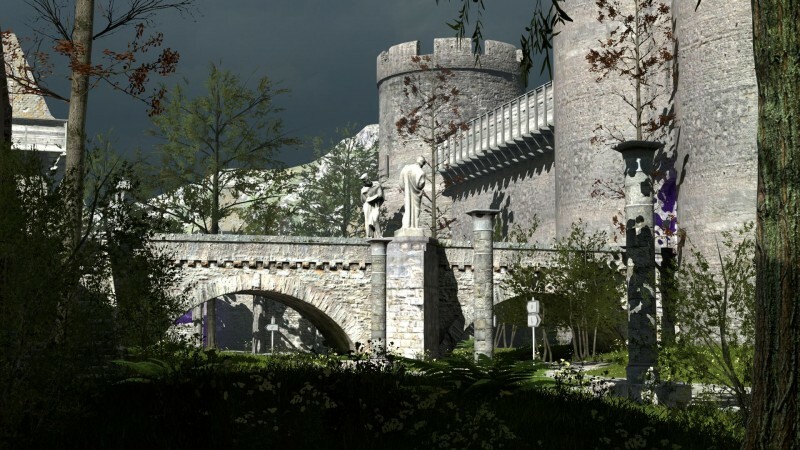 The Talos Principle, on the other hand, is a piece of art that manages to entertain while it challenges you to think introspectively about the world and your place in it. 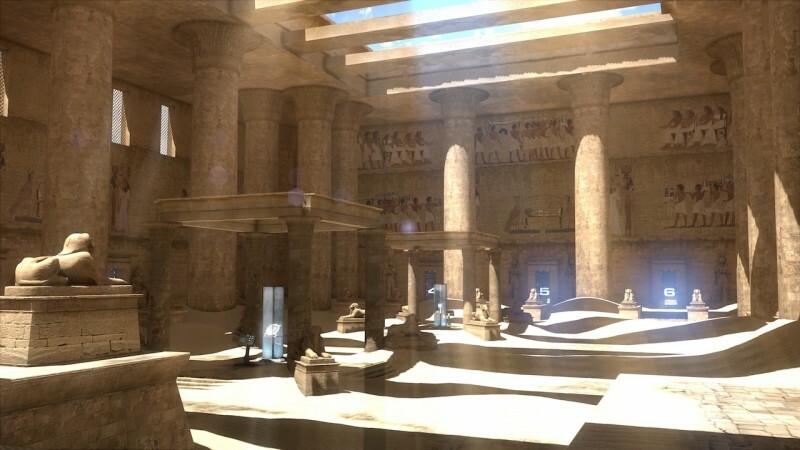 Players are dropped into a desolate jungle filled with Grecian ruins. A disembodied voice called Elohim claims to be your maker, and encourages you to explore the world and conquer his challenges. As you journey deeper into the game, it becomes clear that this world isn’t natural. Sections of the environment occasionally stutter in a flash of static. Meanwhile, a scattering of computer terminals allows you to converse with a library-assistant A.I. that challenges you to explain various philosophical interests. This peaceful, yet slightly haunting atmosphere encourages you to dive deeper as you slowly uncover a complex but sad story about the end of human civilization and the grueling work to preserve history. Dispersed between these interactions are a series of puzzles that have you collecting tetromino-shaped sigils to unlock doors to new areas full of environmental puzzles. 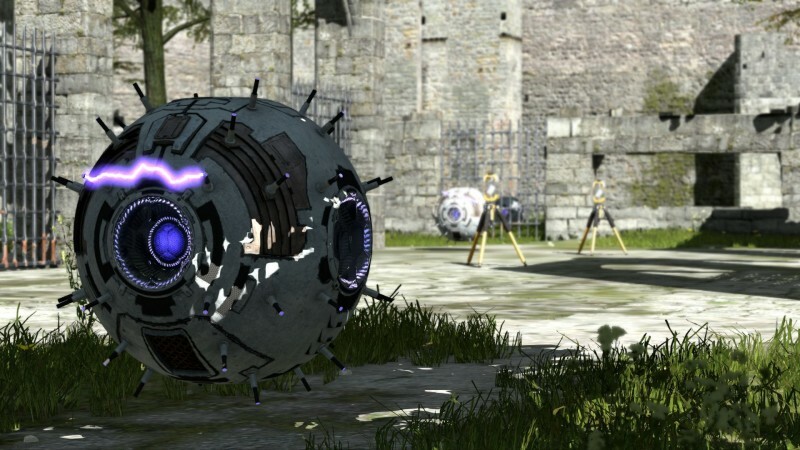 These puzzles start out simple, having you to dodge exploding droids and sneak past turret guns, but Talos fires a steady stream of new puzzle elements that keep each brainteaser fresh and exciting. 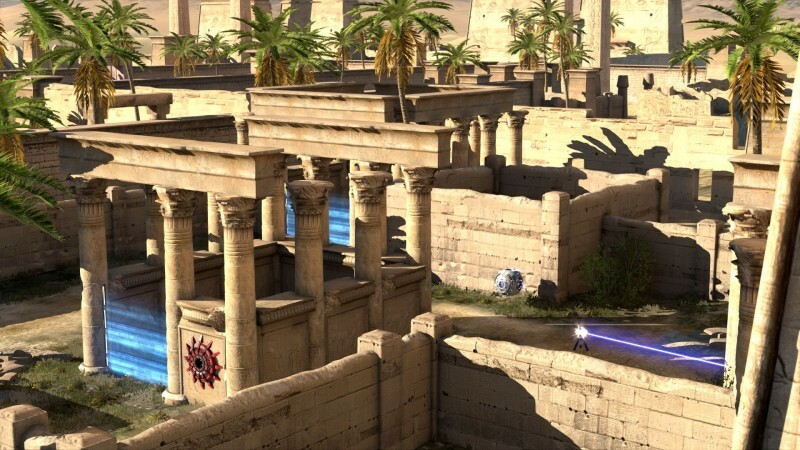 Electronic jammers can shut down patrolling droids as well as energy barriers. Beam connectors help you reroute lasers from an energy source to an outlet that might power a fan or a door. Recorders allow you to imprint your actions into a duplicate version of yourself, which comes in handy while solving puzzles that require more than one pair of hands. As the game evolves, the puzzle difficulty escalates, but I only occasionally felt stumped or frustrated. Even the most elaborate tasks eventually melted into rewarding solutions as I juggled all of my tools, using each one for multiple tasks. 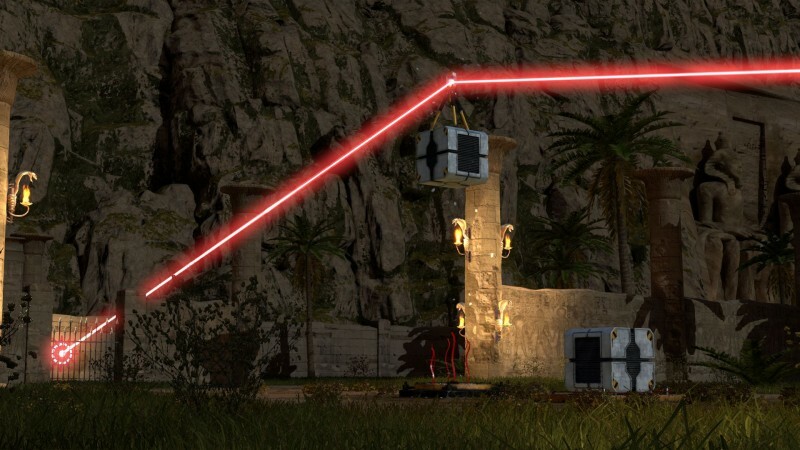 Unfortunately, a few puzzles involve a bit of running around, forcing you to backtrack through an environmental maze a few times to readjust your equipment before you solve a problem. 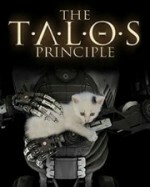 The Talos Principle also falls back on a block-manipulation puzzle that has you placing tetrominos into a rectangular pattern in order to unlock each new area of the game. Some players might dig this element, but I felt it a little too repetitive and I was always eager to skip past these sections to the next set of environmental challenges. 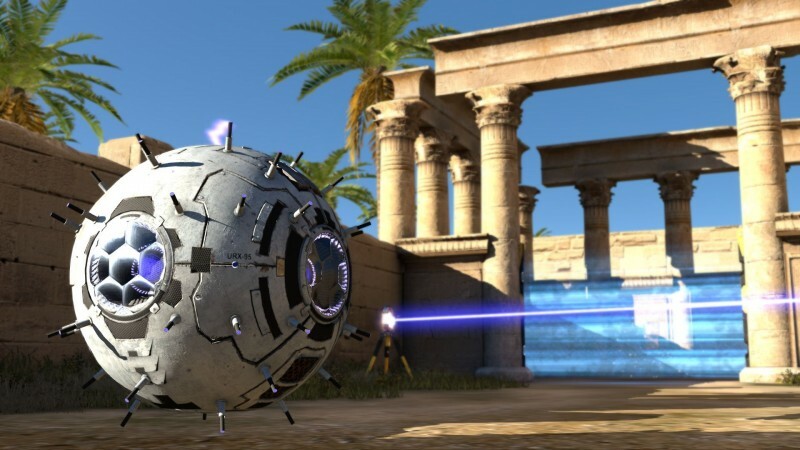 The Talos Principle is a meaty puzzle experience that will take you over a dozen hours to complete and then leave you chewing on some of life’s greatest mysteries for weeks. You might not be able to solve the nature of humanity, but the rest of this game’s puzzles will leave you feeling brilliant enough to try. world and your place in it.